For this Sterling Heights company party, we celebrated with the staff over at the Madison Athletic Club. Michigan disc jockeys provide a great way to bring in the New Year for companies. Not only can you boost employee moral before the holidays are over, but you can get to know the families of those you work with. 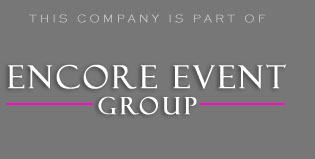 Encore does a lot of company events every year in MI. What companies love about booking with Encore is the piece of mind knowing all their details are safe with our reliable team. Besides the typical wedding reception DJs, you can use a bunch of different activities to get the party going. If you are planning a corporate holiday event, we would call you the week of the event to determine if there are any games or interactive moments you would want at your holiday bash. Most corporate events have giveaways, and this one of the best ways to get guests involved. It can always be a little awkward transitioning into an open dance floor. Doing a game or mixer helps to break the ice and really get the party started. A company holiday party usually includes a mixer to break the ice with guests. Once that is done we will get into the dancing. For this event, we gave them an online planner where they could drag and drop all their requests conveniently online. It helped our DJs with gauging the crowd and working what was pre-approved by upper management. If you don’t have a vast song request list, that is okay. Keep in mind, we do this every weekend. We know what it takes to get and keep your dance floor packed all night long. We had tons of great suggestions to help MAC with organizing their annual corporate function. Their details easily fit into our online planner. They created an itinerary timeline that helped the announcing flow smoothly. As always, we worked with their catering staff to make sure everything was running on time. I would have to say that the best part about the night was the end. Not because it was over, but because guests were screaming for one more song. I guess that’s what happens when you rock a corporate event. If you want to bundle your DJ entertainment, lighting design, or photo booth event options, then click below. Our goal is to save you money and reducing your stress.